One of Little Man’s gifts at Christmas, was Animal Planet’s Dinosaur’s Play Set. Oh my, ever since that day…we now have a dinosaur obsession too along with the airplanes. So of course, the next step was to take your grandmother to the dinosaur museum right?! Our first stop once we were inside, was the Museum Store. Well, if you can believe this…I turned the corner and look what I find? 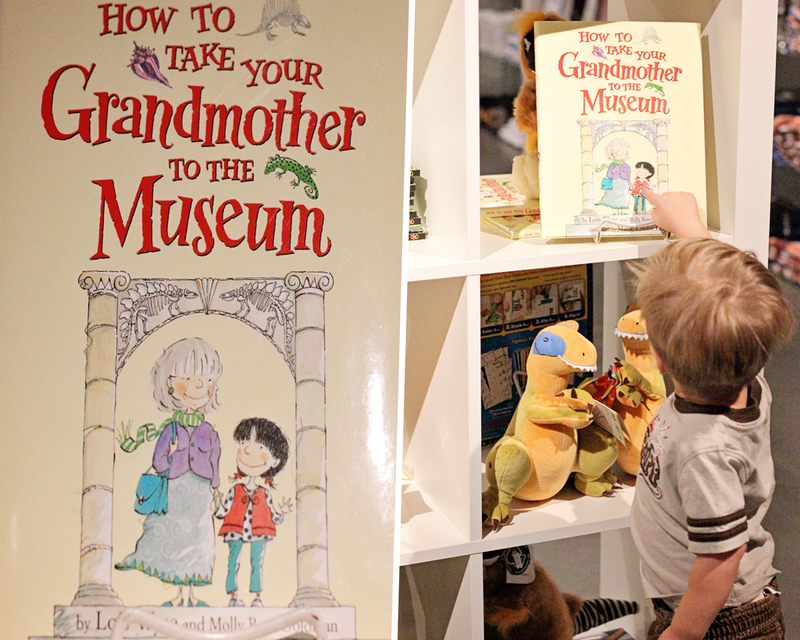 A book that is titled…”How To Take Your Grandmother to the Museum!” I just let out this squeal and everyone comes to see what the commotion is about. Little Man is showing his mommy and daddy how he is taking his grandmother too! Don’t you just love when a moment is SO perfect and everything falls into place for you? If you are ever in the Houston area, I highly recommend the Houston Museum of Natural Science at Sugar Land. The crowds are very minimal and you can look at all the exhibitions and fascinating experiences without all the interruptions. Did you notice the NEW blog header I designed and created this past week? Love to hear your thoughts? Pure perfection from top to bottom. The header is fabulous Laurie. I love museums, especially the dinosaurs and the pic of the little guy is truly priceless. Great photographs and I love the header. Absolutely gorgeous pictures from your adventure! I like the first and last images of the boy. The last one is very artistict and well done, very mood provoking light. I can almost hear little man’s saying the dinosaur’s names, oh so cute ! Laurie, the last photo is magnificent, how so very beautiful ! Marvellous photos and post. I really enjoyed it. Oh Laurie, this story is beyond precious. The combination of museums and children are a heady mix! Beautiful beautiful photographs. Looks like a wonderful day. 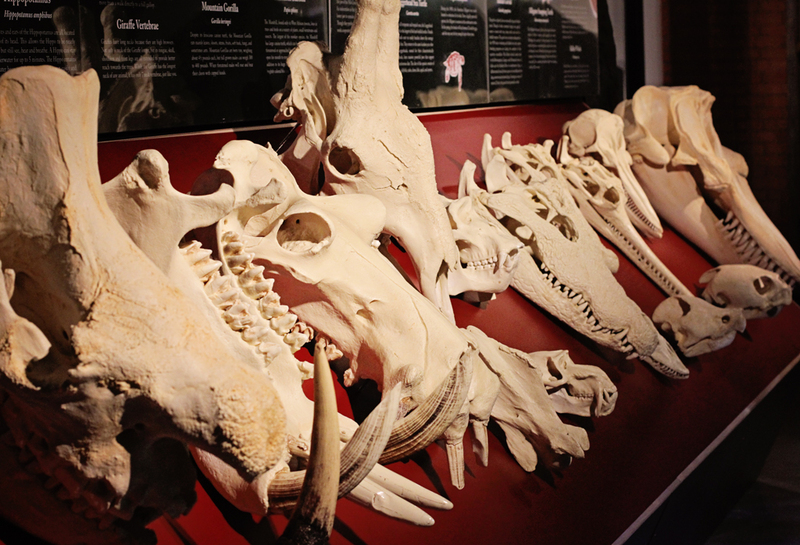 Love taking the kids to natural history museums–so much fun! Beatiful photography! Your grandson is adorable and I really like your new header! Great shots and the last one is absolutely amazing! I wonder how many of those books they’ve sold by placing them so strategically! I know it was so much fun visiting that fabulous place with your grandson. Can I tell you how MUCH I loved your comment…put a BIG smile on my face. oh m goodness, that last shot of lil man is priceless!!!! Loving your new header design. Little Man is a darling ! What child didn’t like a dinosaur I wonder .. none that I know 😉 am sure his interest will stay for some considerable time . Love your new header – very cool ..isn’t it fun playing with photoshop Laurie ! Thanks for sharing the photographs. You look like got to see so much. By the way, love the new header! I love museums where there are exhibitions that children can touch – makes the experience more real to them. I noticed your header on my last visit and I do like it – it looks so professional. Love the dino pictures – and your grandson! I do like the new header. I noticed it the other day but was rather distracted by the beer can house, at the time! Isn’t it wonderful to have such exciting, captivating,adventures with Little Man? What a cute book! Looks like a fun outing with your grandson. I love all the photos! You captured the day beautifully! The last photo is so precious! The 4th photo almost looks like lil’ guy has wings! What a wonderful time for both of you, and that book is sheer serendipity! I love your new header. Very nicely done, Laurie. What an adorable adventure – and pictures to match! 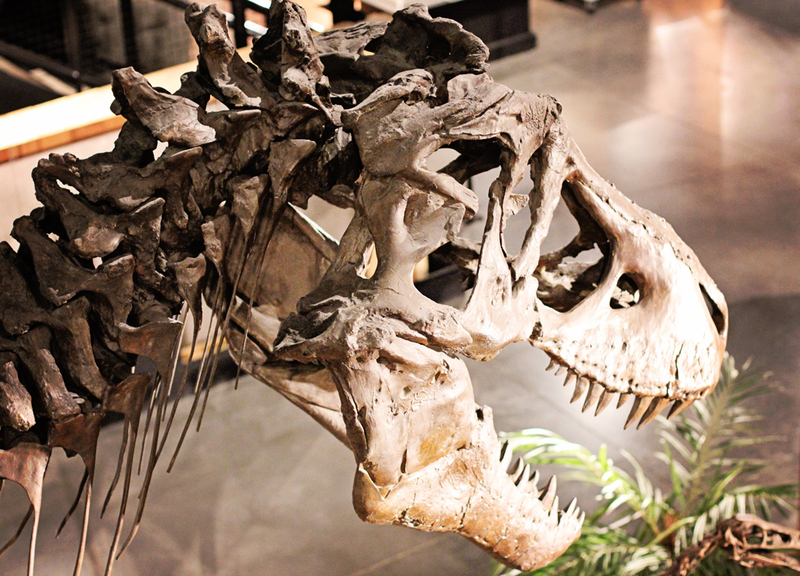 Looks like a great museum, all children love dinosaurs, we have in London a great dino museum too and we still love to go there now even my children are almost adults.Love your new look, cool! What a wonderful title for a book, and I love the cover pic. I bet those dinosaurs never realised how popular they would be with the kids of the future. 🙂 Gorgeous pic of your grandson. He was really absorbed. Well done with your lovely new blog header. It’s very attractive, just like the young woman. Love your new banner. Crisp and clean. Great post about your trip with your grandson and wonderful pictures. Dinosaur obsession is good! 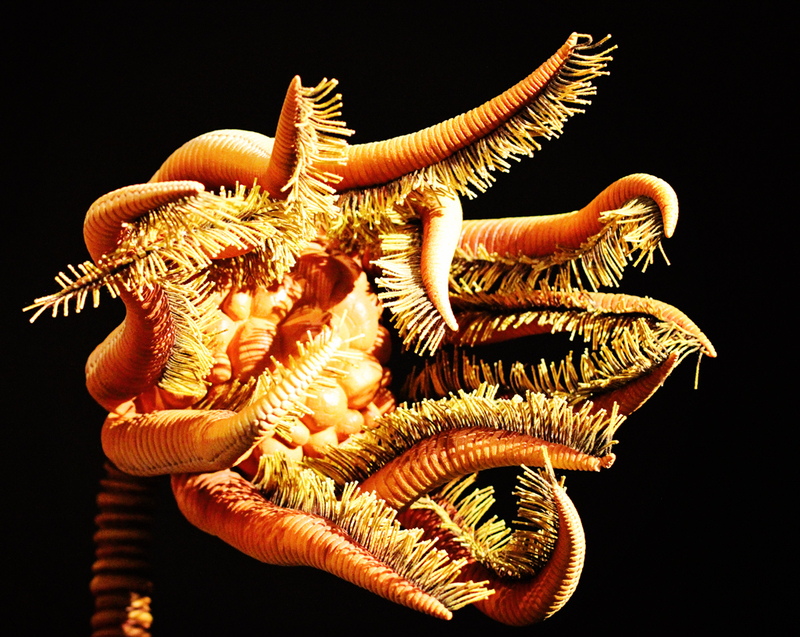 We love our Natural History Museum here in Los Angeles. We made many trips when our daughter was young and she loved it so much that now she is a volunteer docent. The last image is priceless indeed Laurie! And, what a nice clean fresh new banner you have at the top of your blog! Your new header is fresh, clean and lovely! As for that darling boy – just adorable! 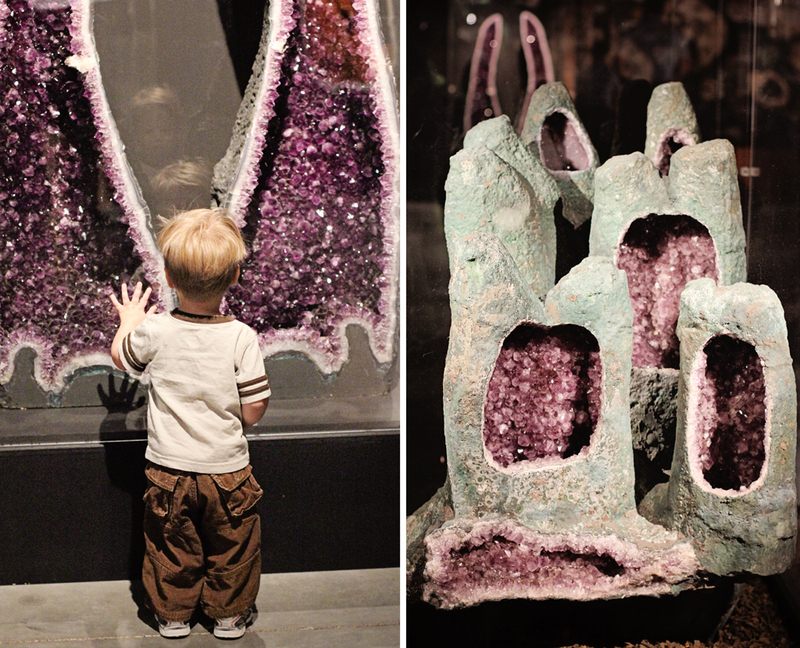 I love those huge chunks of amethyst- as big as Little Man! I bet you did squeal at that book! How adorable! Looks like a wonderful outing with a super cute date! Love your new header, too! I really like the design of your header! Very beautiful young lady. I Love the photos they are awesome. 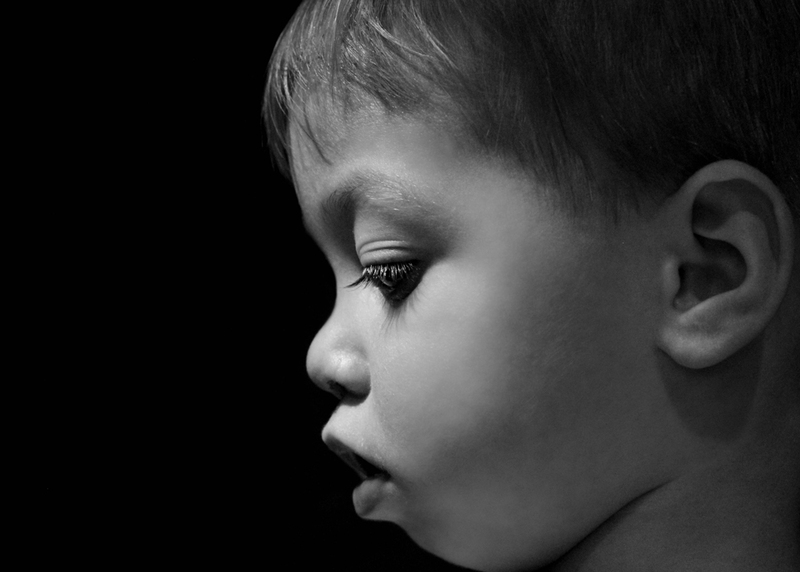 The wonder of the child’s world–the monochrome captures the intensity of discovery. More memories for your treasure trove of family outings. I love taking Noam to museums and seeing his wonder come even more alive! The geodes are amazing!! What a fun outing for you both. I do love when photography moments just fall in my lap 🙂 Lovely photos, I do like the header, what program did you use to create it? I created it in Photoshop. Thanks for your kind words. Very nice capturing the scenes in the museum and the last one of the little man is awesome. Yes, I noticed the new header. It is nice. The question came up in my mind right away for the picture of the lady to the right is you or your daughter? No the young lady was a client. Love the book and it sounds like you had another great day with your Little Man. Like the soft colors of the banner but I’m going to have the obvious interest in the beautiful young lady featured. Judy, she was a past client.